"That's my first memory ever," Rapp says. Over the years, "everybody was pretty confused, but on the inside I felt like I was going insane," she says. It wasn't until middle school that she found a name for it. Her mom, Kathy Rapp, had been searching for years for help. Then she found an article on the Web about a condition known as misophonia. "And I read it and I said, 'This is what I have. This is it,' " says Ellie Rapp. Misophonia is characterized by intense emotion like rage or fear in response to highly specific sounds, particularly ordinary sounds that other people make. The cause is unknown. 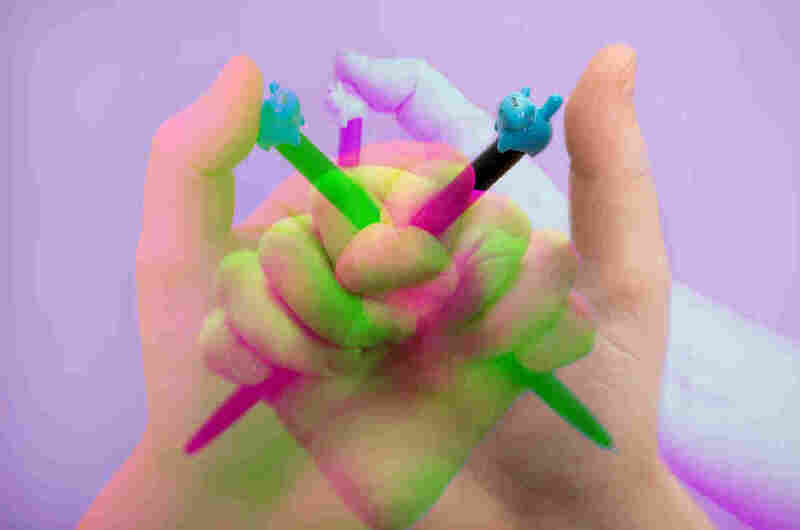 The sound of a retractable pen clicking can trigger strong emotions in people with misophonia. For people who suffer from it, mouth sounds are common triggers. "Chewing is almost universal. Gum chewing is almost universal. They also don't like the sound of throat clearing. 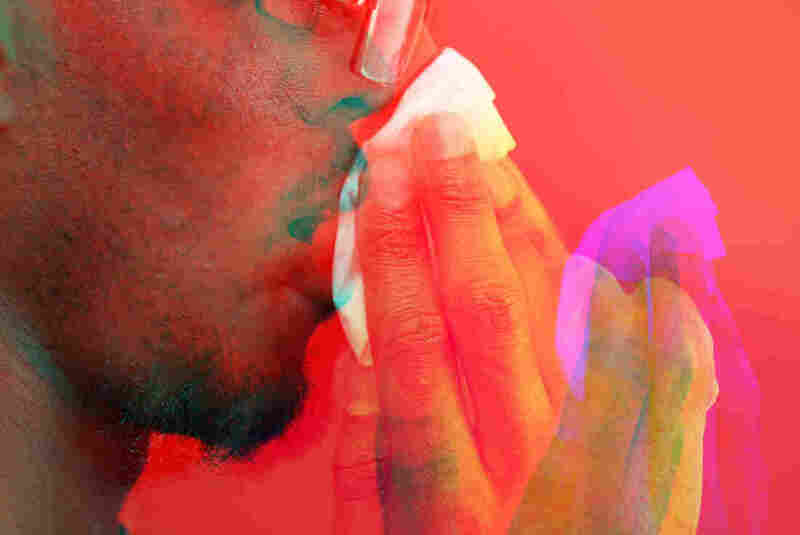 Coughing, sniffing, nose blowing — a number of things," says Jaelline Jaffe, a psychotherapist in Los Angeles who specializes in misophonia and works with Rapp. For some, the sight of someone chewing or a specific smell or even humming, tapping or pen-clicking can trigger a negative reaction. "It's as if the survival part of the brain thinks somehow it's being attacked or it's in danger," says Jaffe. Misophonia got its name just a few years ago, and it is not officially listed as a diagnosis in any medical manuals. Many doctors have never heard of it, and if patients do mention their symptoms, they are sometimes dismissed or diagnosed with a mood disorder. While many people with misophonia also have anxiety or depression, not all of them do. There are few studies on misophonia, and experts disagree over whether it should be classified as its own disorder or a subset of another. Because it's so little understood, the people around those suffering from it have trouble believing or understanding how painful their symptoms can be. Some people with misophonia are troubled by sniffling, throat-clearing or coughing. 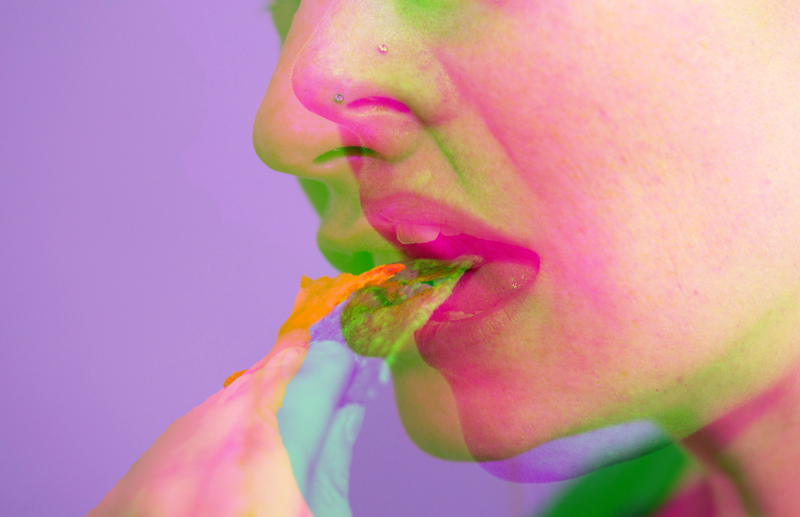 A small, recent study offers potential new insight into how misophonia works. "We're pretty convinced that we've found some very good evidence for relating this disorder to particular patterns of brain activity." says Phillip Gander, who studies how the brain makes sense of sound at the University of Iowa. He was part of a team that published a study in Current Biology in 2017 that suggests that the brains of people with misophonia respond differently to certain sounds. The team looked at 20 adults with misophonia and 22 without it. They had the participants rate the unpleasantness of different sounds, including common trigger sounds like eating and breathing, universally disliked sounds like nails on a chalkboard, and neutral sounds like footsteps or a bird chirping. "What happened was that the response to the neutral sounds and negative sounds were the same in both groups," he says. But the people with misophonia rated the eating and breathing sounds as highly disturbing. Those without the condition did not. 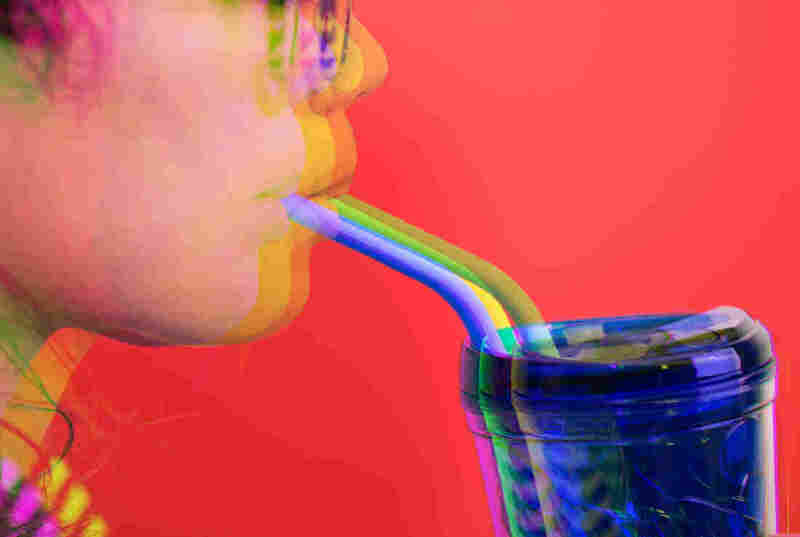 The ones with misophonia also showed classic signs of stress when hearing these trigger sounds: "Their heart rate increased and it made their palms sweat more," he says. Also, the people with misophonia appeared to have some unusual brain activity when the trigger sounds were played. 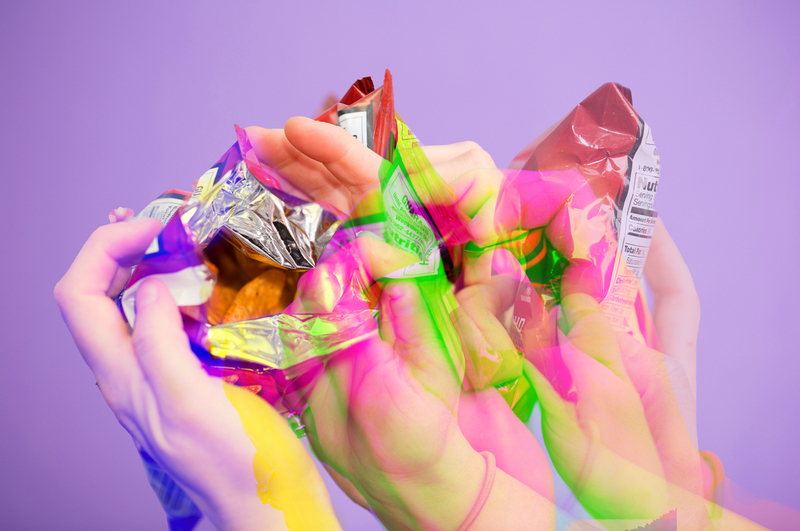 Crinkling a chip bag or other rustling sounds are cited as noises that can set off someone's misophonia. "In the misophonia group, the activity was far greater in particular parts of their brain," Gander explains — including parts of the brain that process emotions. It's an interesting study, agrees Steven Taylor, a professor in the department of psychiatry at the University of British Columbia who specializes in mood disorders. But there are a number of important problems with it, he says. First, it was very small, and the subjects' misophonia was diagnosed with only a short questionnaire. "In studies of clinical conditions like misophonia, diagnosis by questionnaire is typically inadequate. A face-to-face interview with a trained clinician (e.g., a psychologist) is typically needed," he says. Also, the study doesn't show what causes misophonia, only that it is associated with some brain regions and their connections, he adds. Gander agrees that more work needs to be done. "What it does help us do is identify some targets in the brain to look at," he says. For the misophonia community, the brain study was a big deal. Marsha Johnson is an audiologist in Portland, Ore., who specializes in misophonia. "It was phenomenal. It was the first piece of research that showed our population that what they had was real," she says. Johnson is one of the first to identify misophonia. She began recognizing that a number of her young patients had symptoms that couldn't be easily explained as either hearing disorders or psychological problems. "They were perfectly developing normal kids until the certain period of time from like 7 or 8 years old through about 13 or 14 — and mostly girls," she says. Also, their triggers were most likely to come from close family members. 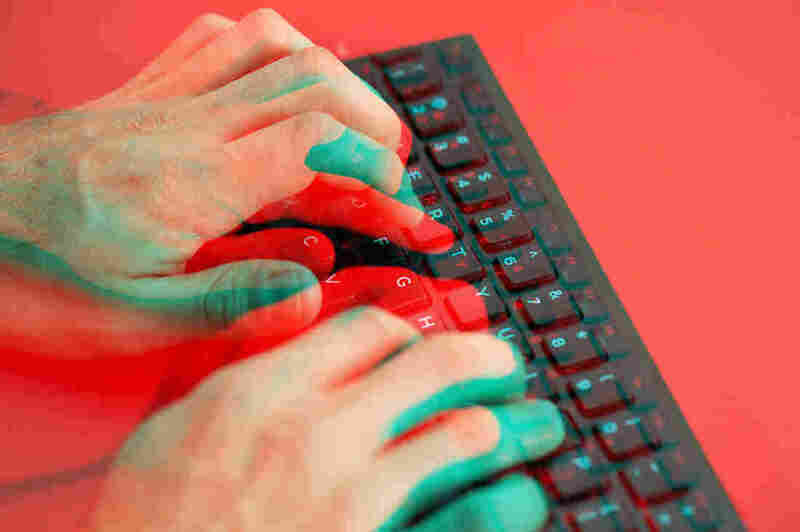 Repetitive sounds like typing on a keyboard or fingers tapping on a table can be triggering. Back in 1999, she dubbed it selective sound sensitivity syndrome. But a more melodic name — misophonia — would later catch on after it was so named by scientists who wrote a paper describing symptoms of decreased sound tolerance in 2001. Misophonia means hatred of sound, which, as Johnson points out, is not technically accurate. "Most of these people don't hate sound; they only hate particular sounds," she says. Johnson began speaking at conferences and leading online group chats to draw attention to misophonia, and thousands came. She developed a network of providers to work with misophonia patients, including therapist Jaelline Jaffe. But the community is still relatively small, and recognition of the condition is still not universal. Misophonia is listed by the National Institutes of Health on its rare diseases website as a chronic disorder (though Jaffe and Johnson say it is likely underdiagnosed and may not be so rare). And it's not listed in the bible of mental disorders, the DSM-5, which makes it hard for doctors to identify it and rare for insurers to cover treatments related to it. Crunching, chewing, lip-smacking or other mouth noises are often listed as irritants. "The problem is, the whole field currently lies undefined," says Johnson. And there aren't any bulletproof treatments. But there are some strategies that can help someone cope. Flooding the ears with noise, noise-canceling headphones, mindful breathing, or just getting up and taking a brisk walk can redirect attention. Others have found antidepressants or exercise helpful. For Ellie Rapp, a combination of noise-canceling headphones and learning to look at life a little differently have helped her excel in school and cope at home. "Misophonia ... I would say it used to define who I am, but now I just see it as another part of my life," she says. She graduates from high school this spring and plans to study cognitive science at Case Western Reserve University in the fall. "I want to basically be a Dr. Jaffe and get my Psy.D or Ph.D. and eventually solve the mystery and cure it," she says. Ellie Rapp's mom, Kathy, stresses that family support plays a big role in helping people with misophonia. At conferences and meetings, they've met adults who experience isolation and despair because their families did not believe them. "It sounds bizarre, but it's very real and a family's help I think is critical in helping somebody live a fuller life," she says. April Fulton is a former health and food editor on NPR's science desk. Follow her on Twitter @fultonhere. Jane Greenhalgh contributed reporting to this story.